Product prices and availability are accurate as of 2019-04-15 12:26:36 EDT and are subject to change. Any price and availability information displayed on http://www.amazon.com/ at the time of purchase will apply to the purchase of this product. This after-color service lightweight treatment helps to protect and enhance semi-, demi- and permanent color results. Can be followed by any other conditioner/treatment. 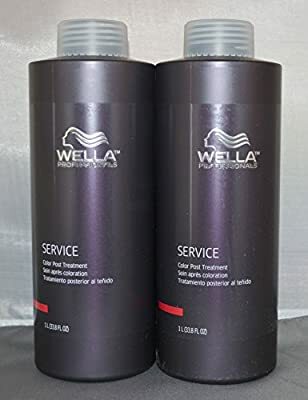 Optimized to work best with all Wella colors. 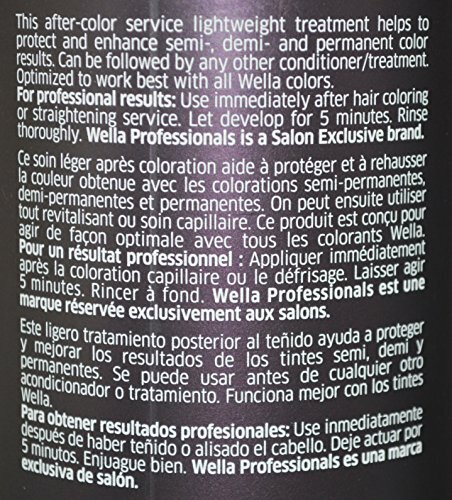 For professional results: Use immediately after hair coloring or straightening service. Let develop for 5 minutes. Rinse thoroughly. This is a 2 pack!